Good news, Los Angeles! Those automated cameras at certain intersections will no longer flicker that annoying white flash to let you know you just ran a red light and can expect to get a nice present in the mail. So if you’re looking for photographic evidence that you were driving somewhere at a specific time, you’re just going to have to ask someone to use their camera phone or something. Maybe they’ll even take a more flattering picture, and for free. 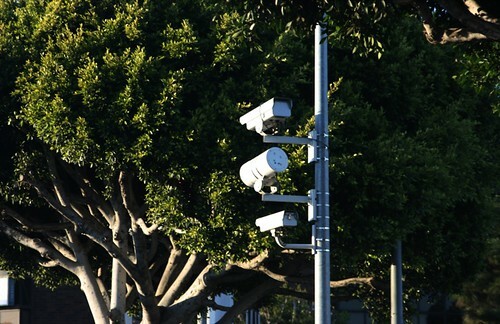 The 32 red light cameras throughout the city have documented an average of 45,000 traffic violations each year. The downside is they were also more expensive than the revenue they generated, and the tickets issued from those pictures were difficult to enforce (“That’s not my blurry, pixelated face! That’s not even my car! Plus I was in Denver that weekend and have a friend who can back me up.”) and caused an increase in rear-end collisions (some drivers slammed on their breaks hoping it was the car in front of them that got caught, much to the chagrin of the car behind them). Fortunately that’s all behind us now. We’re once again able to run red lights to our heart’s content! Let’s go forth and endanger people’s lives, everyone! Better news: If you have an outstanding ticket from a red light camera, throw that sucker away! The city is no longer collecting money from them. See? Procrastinating pays off!